Finding a good performance mountain bike for a kid is much tougher than it is for an adult's. This HASA kids Mountain bike review is for you and guide you to balance between lightweight and smaller size against performance and versatility of the features. A lot of the entry level mountain bikes for kids lack this essential balance. The designers either add too much performance features making the bikes unwieldy and even dangerous for kids or make use of inferior lightweight components which can be just as dangerous. That said though, this HASA Kids Mountain Bike review is certain to offer compelling reasons that finding a mountain bike whose size and weight is suitable for your kid does not mean that you sacrifice performance or quality. Mountain bikes, whether designed for kids or adults, require very specific performance features to be adjudged as having the right quality. As outlined above, the best kids mountain bike must necessarily be lightweight enough and fitted with highly responsive controls if it is to prove worth buying. Mountain trails can have varying terrain and gradient. This is why the ideal mountain bike should have at least a dozen gears for both rear and front wheels. You should also consider the type of speed shifters (paddle, trigger, thumb or twist shifters) to ensure they are suited to your riding style. The mountain bike's frame determines the overall weight, maneuverability and durability of the bike. For the mass consumer market you have a choice between steel and aluminum frames. Steel frames are heavy and not very durable though they are relatively cheap. Aluminum frames are however costlier but stronger and much more lightweight. If you need a mountain bike with highly responsive, almost failsafe braking, go for one fitted with disk brakes. However, this option will add considerably to the overall price tag. Rim brakes may not offer the same effortless braking performance delivered by disk brakes but they are still dependable and come at a fraction of the price. Look for tires which are aggressively treaded to offer sufficient purchase when climbing through muddy terrain or where there is plenty of loose dirt. Consider the design of the saddle too. An ideal saddle should be well padded and adjustable suit the rough and tumble of mountain biking. Ultimately, the choice of the mountain bike will be limited by your budget. The ideal mountain bike will offer you the best value for the money at hand. 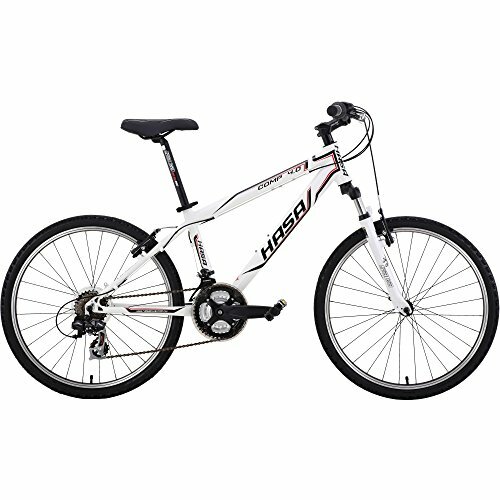 The HASA 24 inch, 21 speed kids mountain bike makes a very potent claim to being the best kids mountain bike for 9 to 12 year old’s. It comes with the SHIMANO gear and suspension system to guarantee you top-end, competition level performance on all types of terrain and inclines. While the Diamondback Bicycles 24 inch Hard Tail Mountain Bike is more popular in this class, the HASA bike beats it in terms of versatility and performance. For instance, the Diamondback has a seven speed gear system while the HASA is fitted with a 21-speed one. Both bikes weigh about the same. While the HASA is a little bit pricier (the difference is less than 30$), the features it offers are much superior. All the essential performance components of this kids' mountain bike, from the frame to the frame to the brakes, brake levers, crank set to the rims and the hubs are made from a highly anodized aluminum alloy. This guarantees inordinate strength to withstand all the abuse the bike is likely to face when used by your kid and still guarantee the overall machine is lightweight for easy maneuverability. You can therefore rest assured that your kid will get plenty of energy sapping exercise from this trail bike and that the possibility of injuries or need for repairs will be at a bare minimum. As outlined above, this is a 21-gear mountain bike for kids. HASA has opted for the industry leading SHIMANO gear and suspension system to guarantee lop performance, fail safe dependability and intuitive control for the mountain bike's entire lifetime. Specifically, the bike has a twin set of SHIMANO TZ-30 shifters for each handlebar, the right one being for the rear wheel and boasting of 7-speed variability while the left one is connected to the front wheel and has 3-speed variability. In terms of derailleurs, the bike is fitted with the SHIMANO TZ-30 for the front wheel hub while the rear boasts the SHIMANO RD-TX31 7 Speed derailleur. If your kid tends to be picky, the HASA mountain bike will prove irresistible in terms of appearances alone. It comes with a naturally aggressive and very aerodynamic profile. The frame is angled aggressively at the handlebars, at the rear wheel hub as well as at the pedals. It is a well balanced bike which the young ones will be itching to show off with as they burn the trail with others. While it is true that the INNOVA mountain bike tires this bike ships with are not the most effective means for trail riding where there is plenty of dirt or mud, they are passable for most conditions. If you need to give the bike better performance in tricky trail conditions, upgrade the tires to an alternative with a more aggressive tread pattern especially for the front tire. Is this HASA brand dependable? Yes, you can buy with confidence. It's made from Taiwan which has been available since 1990. Is there any lock out system? No, this bike has a front suspension but unfortunately, there is no lock out. Weight is very important since it's a kids bike. This bike weights only 25.6 lb which is perfectly alright for your little one. With its 21-speed Shimano gear system, this 24-inch frame kids' mountain bike from HASA is as versatile in performance as many adult bikes. 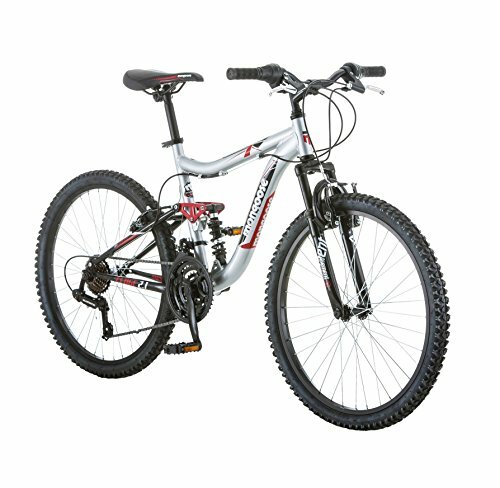 It makes the ideal choice if you are off to a biking adventure as a family. Your kid will not lag behind because their bike is too slow to keep up with the parent's when going up an incline. 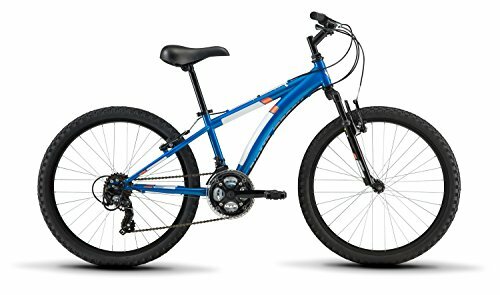 What is more, as this HASA Kids Mountain Bike review has served to Show, the use of Aluminum alloy for the frame and other essential components such as the crank set and rims add to the overall durability, performance and resilience of the bike without compromising on its lightweight profile.